When you are looking for skip bins Sydney, there is only one place to go, and that is Sydney Mobile Skips, delivering our mobile skip bins throughout Sydney and helping our customers with their rubbish removal. If you are looking for a cost-effective Sydney skip bin hire company, contact us today and let us give you a quote and tell you what materials can be accepted, and what cannot. We offer our cheap skip bin hire Sydney wide, and it is an excellent service for waste removal when you are having a tidy up of your home or workplace. 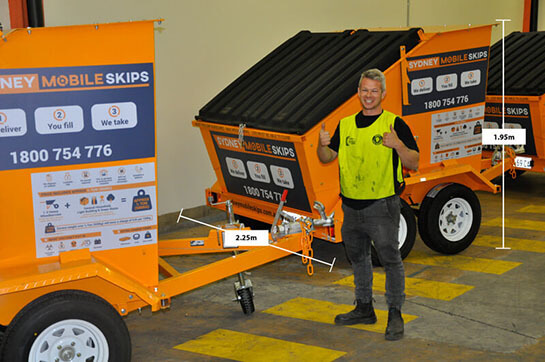 With a variety of different sizes, if you need mobile skips for a day or more when you are tidying, contact Sydney Mobile Skips today on Tel: 1800 754 776 and one of our helpful members of staff will be happy to assist you. With the mini skip hire service that we offer, it is best suited to smaller items that are less heavy. If you are having a spring clean of your home or office and getting rid of small items, the 3m³ or 4m³ units are perfect, and if you do have more household waste or garden waste, you can always order another one. 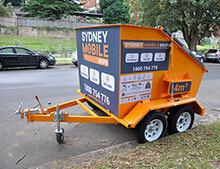 When it comes to bin hire, Sydney has few companies that offer the same dedicated level of service that Sydney Mobile Skips does. If you are looking to get rid of heavier waste such as large tree trunks, sand, bricks, building debris, you will not only be allowed to put this in the skip bin, and you may need to look for larger skip hire, Sydney has many options available. For more information on what items can and cannot be put into the trailer skip bins, please see out terms and conditions by clicking here. When it comes to cheap skip bins, Sydney Mobile Skips has two sizes of skip bins that are suitable for general waste and refuse. The smallest skip bin for hire that we have available is 3m³ and is the perfect size if you are having a spring clean of the garden and getting rid of all the debris and dead plants. With this trailer skip bin hire it is also suitable for general waste such as cleaning out the contents of a room in your home or getting rid of the junk in your garage. The second size that we offer is 4m³, which gives you more room for the bigger clearing jobs, and you can also order a combination of the sizes available. For more information on the skip bins that we have available for hire, call us on Tel: 1800 754 776 or click here to book your skip bin online now. You order your skip and let us know when you want it dropping off, as well as collecting, and we take care of the rest, it is that simple when you use Sydney Mobile Skips for cheap mobile skip bin hire in Sydney. If you cannot see your area listed above, call us today on Tel: 1800 754 776 and one of our operatives will be happy to find out if we can accommodate your needs for you. The waste collections service that we offer through our mini skip hire in Sydney is perfect if you are moving home and need to get rid of some of your clutter, or the new property has lots of rubbish to get rid of first. You can also use the mini skip hire for clearing a house, a spring clean, or for getting rid of all of the junk that has been cluttering your lives for years. Why not clean up the clutter in your life and get rid of all the rubbish that has been building up and hire a mini skip bin today and give your house that overdue cleaning! 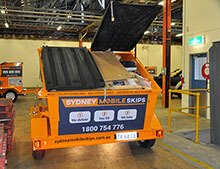 Call Sydney Mobile Skips today and let us help you clean up your home and get rid of your waste for you. 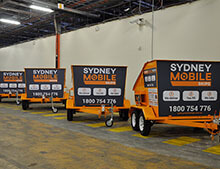 Sydney Mobile Skips has worked hard to build our reputation on supplying quality mini skip hire, with exceptional customer services for all our customers. When you hire one of our mini skip bins in Sydney, we can deliver this almost anywhere, and you can also lock the skip bin up so that it cannot be moved, as well as lock the lid to prevent people from putting their rubbish in. Because of the size of the skip bins that we provide, there is no need for a permit, and we can often offer same day drop off and pick up if required. 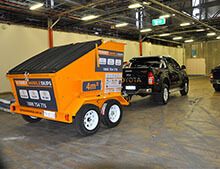 For more information about our rubbish removal Sydney services, please click here. We know that you care about our planet, and so do we, which is why we will recycle as much of the waste that we receive from our Sydney rubbish removal service. When we receive the mini skip bins back from our customers, we will process everything that is inside and filter accordingly. We will send as little as we can to landfill and are always exploring new ways and technologies to get rid of different types of waste. If you have any questions about our skip hire service in Sydney or how we process the waste materials that we get back, please contact us today. If you want to see all the latest goings on at Sydney Mobile Skips, you can follow us on our Facebook page, or Instagram. If you have any questions about our Sydney mini skip hire services, you can call us directly on Tel: 1800 754 776 and speak to one of our knowledgeable and friendly team members who will be happy to assist you. Alternatively, you can click here and use our online contact form, or you can send us an email at info@sydneymobileskips.com.au, and we will get back to you as quickly as we can. If you need help to get rid of the rubbish from cleaning your home, garden, or place of business, contact Sydney Mobile Skips today and let us help remove the clutter from your lives. HAVE AN ENQUIRY for Skip Bins Sydney?